I came across this photo in our library and am totally fascinated by it. 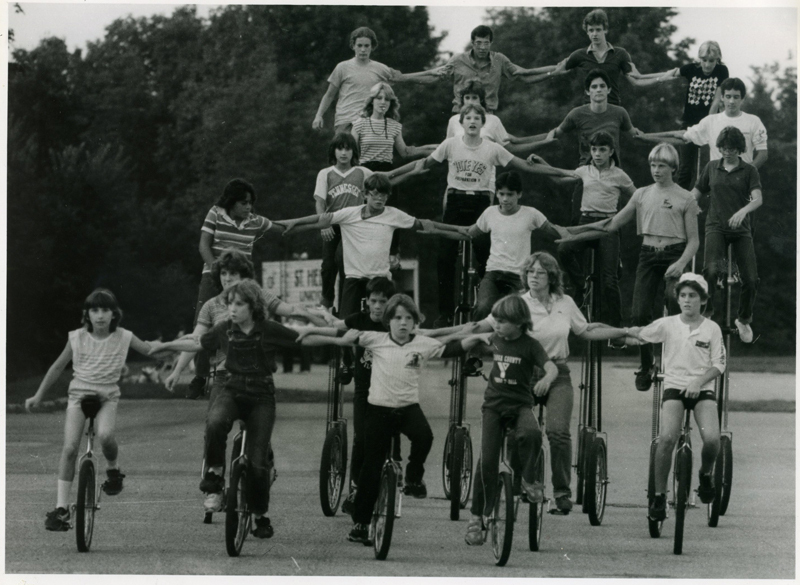 Anyone have any information about the St. Helen's School unicycle team? Do you know when this photo was taken? Can you identify anyone in the photo?